Years ago I wrote down some thoughts I’d had about cancer when I was working as a nurse (a profession I LOVED!). I worked with many patients who had cancer, and in my thoughts (often SAD because of my experiences with patients and their loved ones) I began to compare cancer to what’s-his-no-face. The first time I saw cancer “close-up” as I observed it during surgery on a patient who had it, I knew I hated cancer. I hated it instantly. It seemed to me the cancer had been trying to “sneak around,” hiding inside and behind, trying not to show ANY signs or symptoms until it would be too late. It seems to be similar to the way he works on us to destroy our peace, our happiness, and even our future. He wants to get us off the straight and narrow just tiny inches and steps at a time. He starts out just wanting us to “loosen our grip” on the iron rod. He’s like “here a little and there a little.” He tries to make us believe that “just once” won’t make any difference at all. And – like cancer sometimes – he keeps up his nefarious and relentless efforts until he feels he’s “got us” – that we’ll never be able to recover. 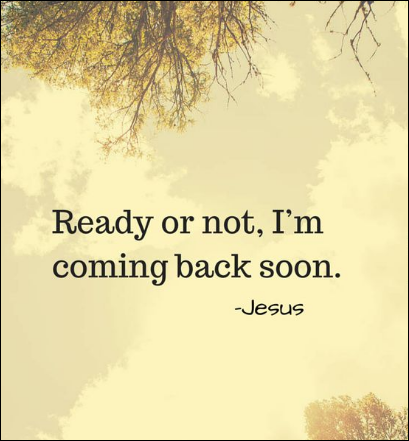 And it seems like he’s speeding up (well… speeding DOWN) as the time gets shorter – as we get closer to having the Savior return (I’m praying earnestly that it can be SOON). There are continuing efforts to conquer cancer – to detect it earlier and to treat it more effectively. The whole process is a lot different now than it was in 1960 when I first realized how much I hated cancer. (I’ve hated whnf “forever”). There are continuing effective ways to detect evil (I dropped the “d”) in our lives. We have a light inside of us – we were born with it. The harder we try to CTR (choose the right), the brighter it shines (and the more effective we are as examples of the believers). We have a Still Small Voice (SSV), and we are warned the INSTANT we are even approaching the edge of the straight and narrow path, or are even loosening our grip ever so slightly on the iron rod. Is there anything going on in your life, in your mind, in your heart which is warning you? … making you feel uneasy or uncomfortable? Pay attention. Don’t wait for stronger “symptoms.” Don’t wait a minute or even a second longer to make needed, critical, life-saving (eternal life) changes. And for my several friends who are fighting (and have fought) cancer, I have good news. Here are things CANCER CANNOT DO!! Cancer is SO LIMITED! CANCER CANNOT CRIPPLE LOVE! Not your for others, and not others’ for you, and certainly not your love for your Heavenly Father and His love for you; He will keep ALL of His promises!! CANCER CANNOT SHATTER HOPE! We press forward through our trials with “a perfect brightness of hope” (2 Nephi 31:20). We cling to our hopes, not our fears. A Russian Proverb: “In the kingdom of HOPE there is no winter.” President Ezra Taft Benson: “Hope is an anchor to the souls of men.” (Teachings of Ezra Taft Benson, p. 398). Our hope is anchored in Jesus Christ. CANCER CANNOT CORRODE FAITH! The stronger our faith, the weaker our worries. The first principle of the gospel is faith. The more we take hold of faith, the more it takes hold of us. As with hope, our faith is anchored in Jesus Christ. CANCER CANNOT DESTROY PEACE! Sweet is the peace the gospel brings (Hymn # 14). Peace of soul can come even when there is an attack on the body. As we turn our lives over to God, He will “pour out peace.” (Ezra Taft Benson, Teachings, p. 361). Such things as scriptures, prayer, and music can bring peace and tranquility. CANCER CANNOT KILL FRIENDSHIP! A friend loveth at all times, and a brother [or sister] is born for adversity. (Proverbs 17:17) “Till heart meets with heart and rejoices, in friendship that ever is true.” (Hymn # 232). Christ called those close to Him friends. (John 15:15) “All of us need help from time to time. We need encouragement. We need friends who will stand by us through thick and thin. 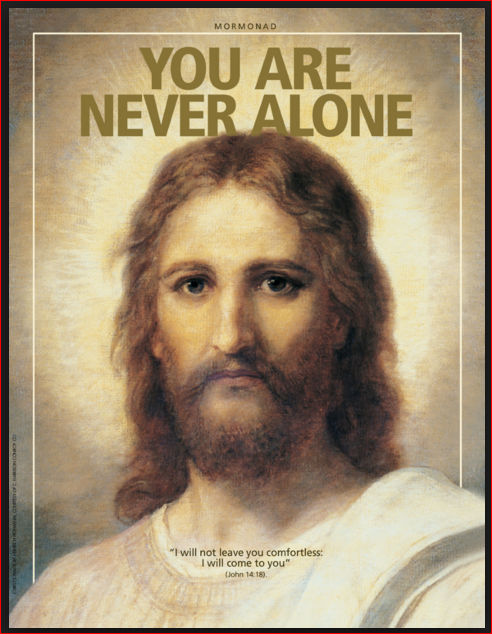 I ask each of you to be that kind of a friend.” (Gordon B. Hinckley, Ensign, May 1996). CANCER CANNOT ERASE MEMORIES! To have sweet memories is to be richly blessed. Even as time goes by, memories can continue to teach us, remind us, comfort us, and bless us. CANCER CANNOT SILENCE COURAGE! Encouragement to be brave and true often comes from those who love us and care for us. Loving others deeply can give you courage. Courage isn’t always loud – sometimes courage is a quiet feeling at the end of the day that says “I’ll try again tomorrow.” “Discouragement can become contagious. You must rise above it and lift those about you.” (Gordon B. Hinckley, LDS Church News, July 4, 1998). CANCER CANNOT SILENCE PRAYER! The soul’s sincere desire – prayer – is stronger than cancer and a whole lot of other things. Tying it to courage, it has been said that courage is fear that has prayed. The Prophet Joseph Smith said that “the best way to obtain truth and wisdom is … to go to God in prayer and obtain divine teaching.” (Teachings of the Prophet Joseph Smith, p. 191) – It is also likely the best way to obtain comfort and other needed blessings. Very encouraging words, MEE! ♥ While I don’t have cancer, I do have another life-altering/threatening illness with no known cure. As I read your list of what cancer CANNOT do, I substituted the name of my illness instead, and was filled with such remarkable joy and HOPE! It’s just as I say to myself with every breath when it’s hard to breathe: To live is Christ. To die is Christ. He knows my name and my needs, my heart, and my hours. My life is His, and if He calls me Home, I am still, and forevermore, His! Thanks, Kate. I’m glad there’s HOPE. You’re wonderful, and I pray your days will be pleasant and sweet. Thank you Mary Ellen. You seem to always know when a guy needs a “pick me up”. I love this Melon! This is exactly what I needed to hear. My best friend since college is battling stage III breast cancer. She has three year old twins & a husband worth fighting for. Thank you for your inspiring words. They have reminded me of the absolute power of hope & the simplistic beauty of the gospel. I LOVED your analogy! Cancer is sneaky and debilitating. And so is evil if you let it (him) in. But there is always Love, Hope, Faith, Peace, Courage, Memories, Prayer or Eternal Life. Thank you so much for your beautiful words. Thank you for your thoughts today, I was impressed to print off two copies, and instead of the word CANCER, inserted, on one copy DEPRESSION, which is whnf tries to trick me, and on the other, ALCOHOL, another horrid trick of whnf, that a dear friend is fighting with. Your thoughts gave me hope, and courage to keep fighting. Thank you, Fran! I’m glad you thought of doing that. Carry on — good wishes being sent your way. Oh gosh! That made me think of Barbara, my best friend as I was growing up. She went home a few years ago and I have missed her. Recently I got to see her children again and tell them what a courageous and good friend she was. Thanks for sharing your thoughts. Thanks for your note. Tender thoughts. Hello to all of you!